I had a prolific April! 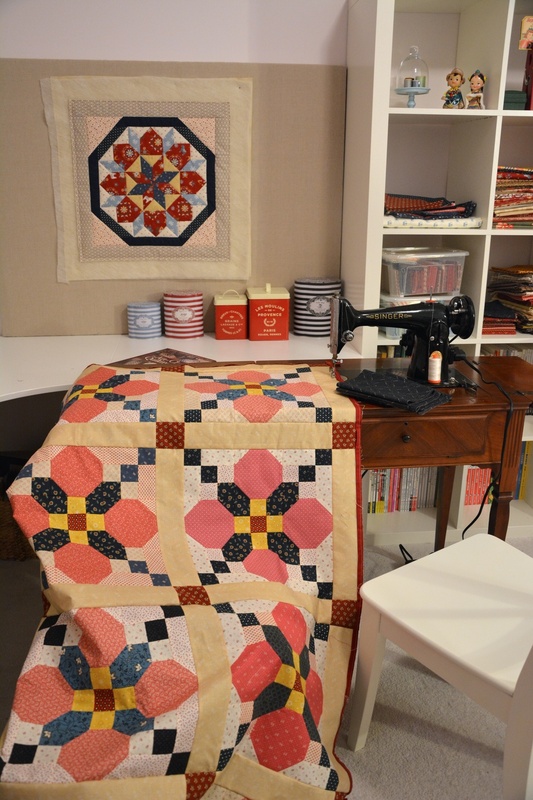 Cotton Confections Quilt #1 - Magnolia and Quilt #2 - Star Anise were done! Made with mostly reproductions, but also a bit modern prints. Batting is Hobbs 80/20 blend. 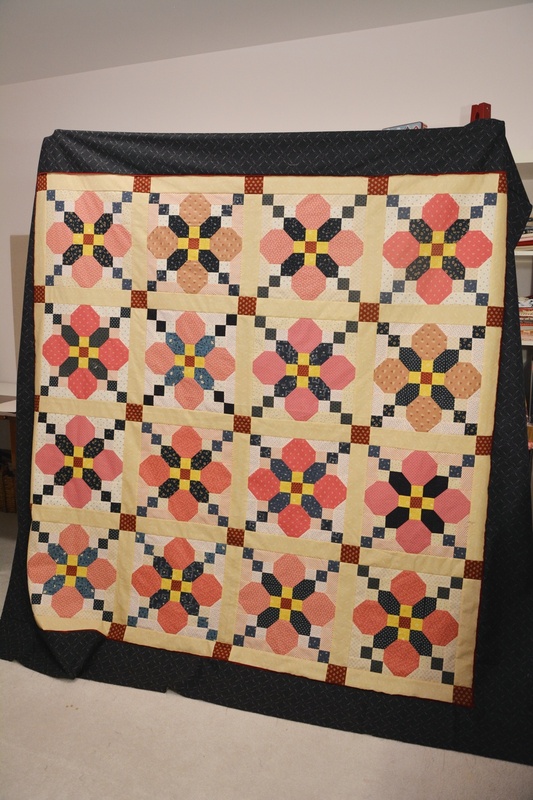 Pieced with Aurifil 50/2. Machine quilted with Wonderfil Innvisafil/YLI Invisible Nylon on top, and Aurifil 50/2 on the back. Double binding cut on cross grain, binding by hand with Gutermann silk thread. Finished on April 29, 2014. Pattern improvised by myself with help from AutoCAD. 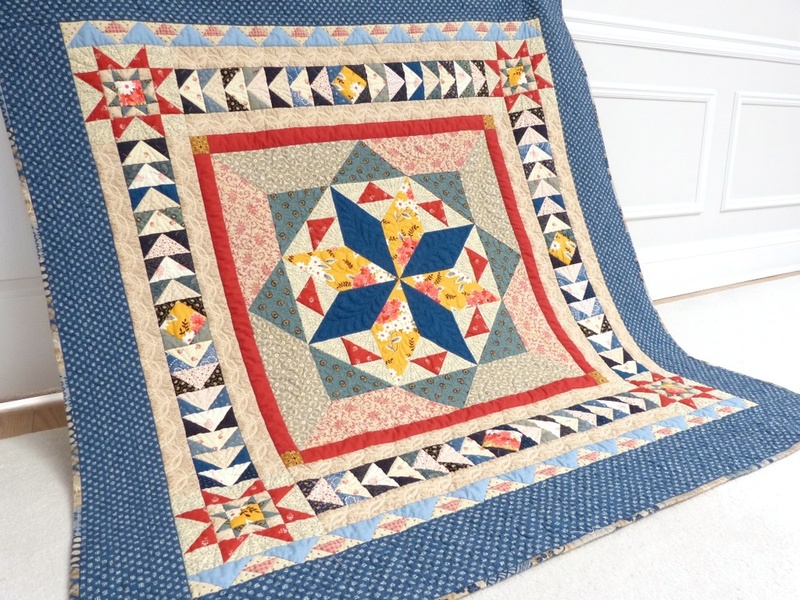 Made with very mixed styles of fabrics - Reproductions, some French General, some Minick and Simpson, a bit of Denyse Schmidt, and the border/binding is Moda Kasuri. Pierced with Aurifil 50/2, machine quilted with mostly YLI invisible nylon, plus some rayon thread. Double binding cut on cross grain, binding by hand with Gutermann silk. 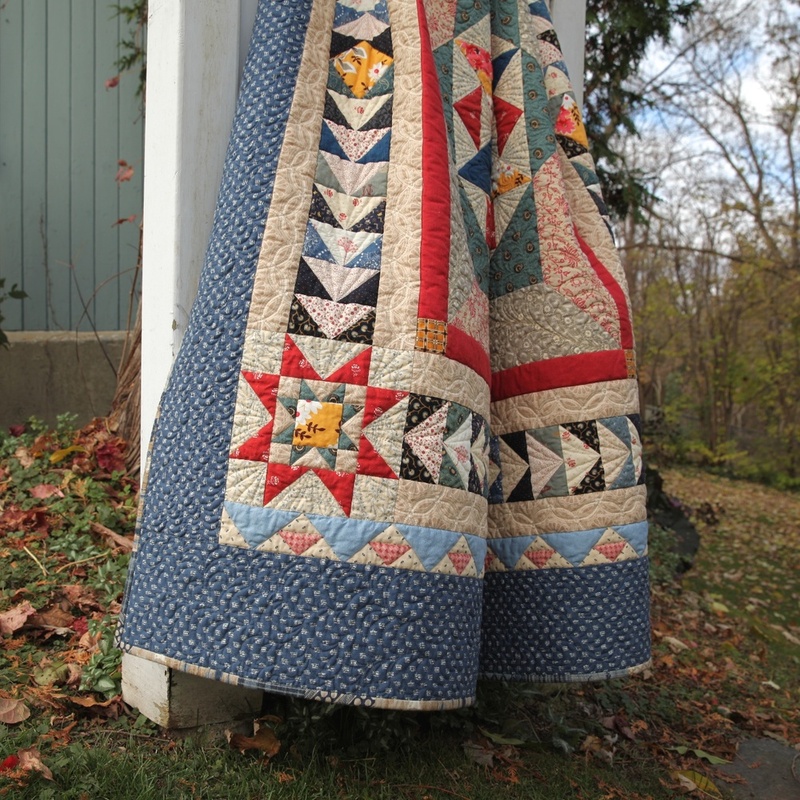 Batting is Quilter's Dream wool.